The wedding season is on, some of you might be looking for good products to buy for yourself for your own wedding or for yourself to get ready for someone else's wedding. 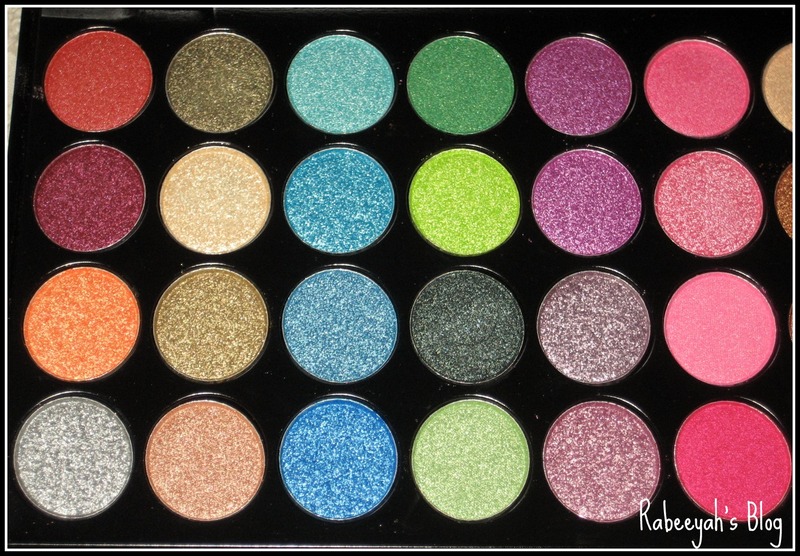 It is really hard to find good quality eyeshadows with affordable price. All this year I kept looking for a good eye shadow palette, but was unable to find one. I ended up buying single eye shadows. 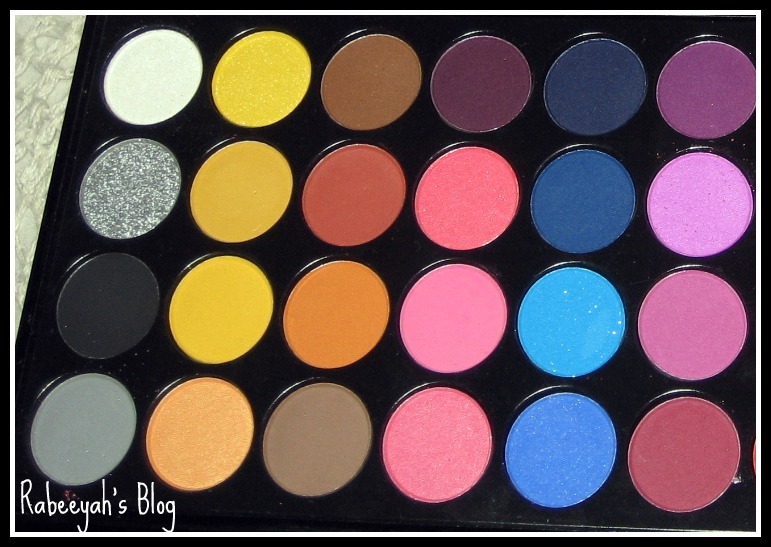 Finally, I came to know about this palette through a blogger [Sara Hassan] who did a review about it on her blog. Seriously, after reading the reviews I was so excited to buy it. Thanks to her for sharing. I wouldn't have bought it if I would have seen it before the review. I am in love with this palette. It has all you need. I was looking for so many colours which I found in it. 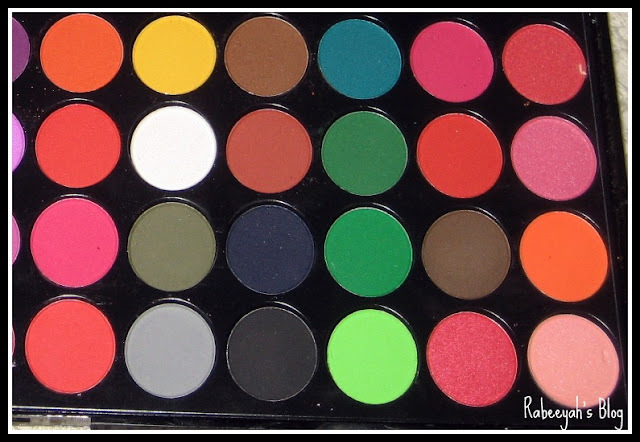 I am really excited to have this palette, and it is my first ever BIG palette. Colours like carbon black, warm browns, pinks, greens are the ones I love the most. The best thing about it is, you get 2 in one. Makhmally shades plus matte. 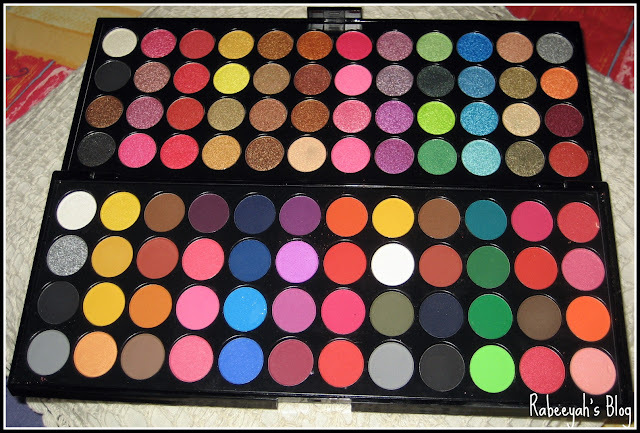 48 colours are makhmally and 48 are matte. They are very pigmented, which is a good thing about them. Some of the colours do fall off and are chalky, for that you can use a wet brush and you definitely need a primer or eye shadow base. Let's have a closer look at the colours. I love each and every colour in this palette. From Makhmally to Matte. I am so excited to have it. 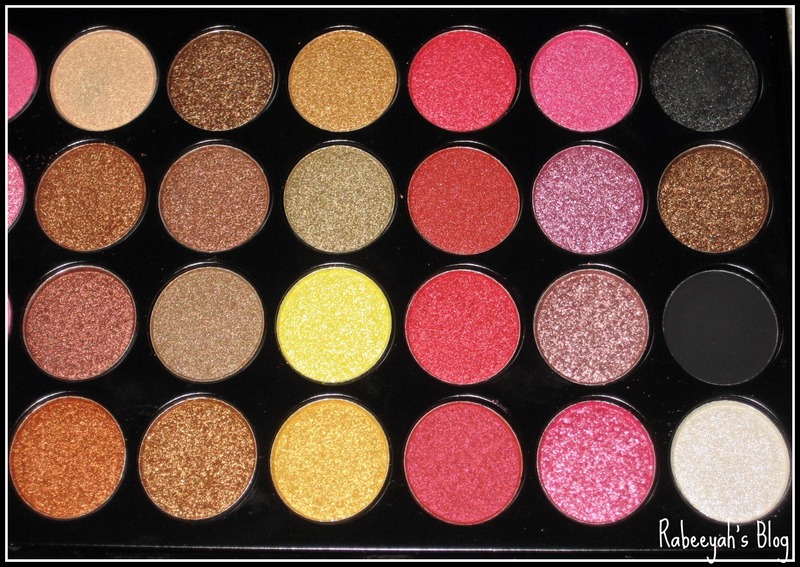 You can see the result of these colours in my previous blogpost about eye makeup and party makeup look. The best thing about this palette is that, it is affordable and is easily available at any supermarket or cosmetics shop. I bought it for PKR 825, but prices vary at every shop. I bought it from Naheed Supermarket. I will definitely recommend you to buy this palette, if you can not buy palettes which are not available here and you are looking for a good eye shadow palette, to start with. i would love to try this palette! can u order it online ? from where u got such a lovely palatte i want to buy want i live in lahore can u tell me the shop? n do tell me how much did it cost u?